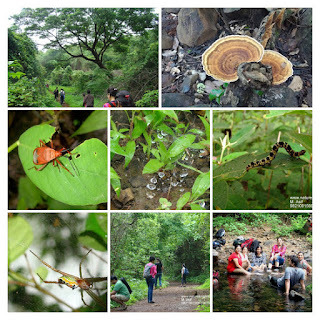 Event: Off-Beat and Un-Explored Trek "Chowk - Umberwadi - Matheran"
Farms, Hills, Lakes, Climbs, and finally the forest on Mountain Head.. 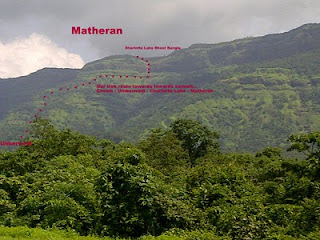 The trek ends with a Horse Ride from Matheran Station till Dasturi Naka..
Camp Fee: Rs.650/- per head. (Rs.100/- discount for Members). 6:00 am Kurla Station West (Near Ticket Counter). Buy your harbour line tickets before meeting.. Ideally report 15 minutes in advance. (Train timings from Kurla to Panvel between 5:30 am to 7:00 am). (Train timings / Options for Return Local Train Journey from Neral)..
.5) Eggs, Sprouts or similar items with Bread / Thepla or Parathas 6) Wear Hat or Cap with good shade to protect yourself from sun. 9) Wear a wet handkerchief around neck that helps in cooling your body. 10) Wearing (Tights or Shorts or three fourth shorts) of material that has a little stretch helps. If you are wearing shorts make sure wear a socks that is long enough to cover most of your exposed skin below your knee on you legs. 11) Always keep a Pocket Knife, and Small Flash light handy. 12) Keep yourself hydrated.. replenish at regular intervals in small quantities.. water/ nibbles of fruits / etc..
Do not make to bag too heavy. 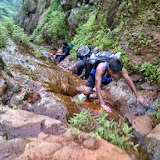 For Photo Album click on the picture..